Macular pucker occurs when scar tissue forms over the macula, wrinkling or puckering the underlying macula. The main symptom you may experience with a macular pucker is that straight lines look wavy. You may also notice that you cannot focus perfectly even when wearing your glasses. Aging is the most common cause of macular pucker. 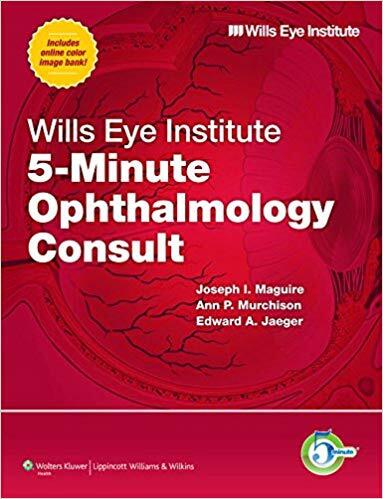 As you age the vitreous starts shrinking and begins to pull away from the retina. 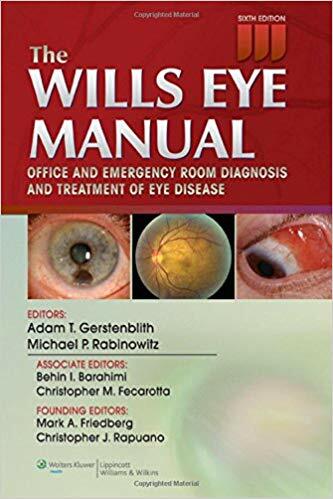 Usually, it pulls away and separates from the retina and macula without any problems. However, sometimes the vitreous can adhere to the retina and macula. If it adheres, scar tissue can form causing the retina and macula to wrinkle or pucker. What are the Signs and Symptoms of Macular Pucker? When you come in for your retina exam, the technician will put drops in your eye to dilate your pupil. The doctor will then use a special lens to look inside of your eye at your macula. Pictures will be taken of your eye using optical coherence tomography (OCT). With OCT, a machine scans the back of your eye. This provides very detailed pictures of the retina and macula giving us a cross sectional view. The doctors will study these pictures to check for problems. Finally, we can compare what a normal scan should look like to what an abnormal scan may look like and we will review these scans with you. Macular pucker can either be treated with close monitoring or surgery. If the pucker is mild and does not really affect your vision, we usually recommend close monitoring to make sure that it does not get any worse. If it never gets worse, then you may never need to have any surgery. However, if the macular pucker causes significant blurry vision or wavy lines that cannot be improved with glasses, and the vision and scans are continually getting worse over time, then we usually recommend surgery to remove the scar tissue off of the macula. The surgery required to treat a macular pucker is called a vitrectomy with membrane peel. Vitrectomy surgery removes most of the vitreous gel, or floaters, from the back of the eye and removes the scar tissue off of the macula. Peeling or removing the scar tissue allows the macula to flatten over time, so it may return more closely to its original position. The goal of the surgery is to stop the vision from getting worse. Additionally, the vision usually improves slowly as well. Although the vision usually improves after surgery, it is important to understand that the vision may not return to perfect. As everyone’s situation is different, we can discuss with you what you should realistically expect after surgery. Your physical recovery after surgery takes about a week or two. During the first week, we recommend that you should take it easy. You should not bend your head lower than your heart, lift anything heavier than a milk jug, strain or rub your eye. All of these things will increase pressure to the eye that may have serious adverse effects. After the first week, you may return to work. Additionally, you can walk around during the first two weeks and do not need to sleep in any specific position. After about two weeks you can usually start slowly resuming normal physical activity. Are there preventative steps or measures to avoid Macular Pucker? Unfortunately, there is no prevention for macular pucker. However, with routine eye exams, we can screen for macular pucker and other macular health as well as closely monitor any changes in your macula that you may have. 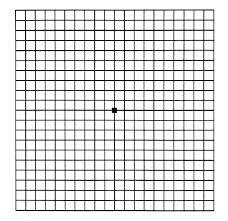 In between appointments, you can monitor yourself at home with an Amsler grid (below). Cover up your right eye with your hand and look only through the left eye. With the left eye, look directly at the center dot below. While you are looking at the center dot, pay attention to the straight lines all around the center dot. Then repeat this by covering up your left eye with your hand and looking at the center dot with your right eye. Again, take note if any of the lines are wavy. If any of the lines are wavy with either eye, we should see you for a retinal examination and scan of your macula right away. For most with a macular pucker, their vision remains stable and does not get progressively worse. Macular pucker usually doesn’t fix itself. Macular pucker usually affects one eye, although later it may affect the other eye. Amy A. Mehta, Jay Berdia, Lilly H. Wagner, Irene Choi, and Brandon B. Johnson. Traumatic Submacular Hemorrhage with Macular Hole Repaired by Pneumatic Displacement and Intravitreal t-PA Injection. Case Rep Ophthalmol Medicine. 2017: 982-1416. Link to Article.